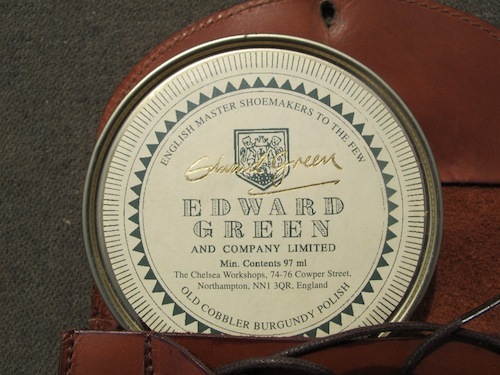 If you’re making the investment in buying quality hand-crafted shoes, you should be taking proper care of them. With so many shoe care options readily available at drugstores and the like, it is easy just to pick up something more out of convenience than anything else. 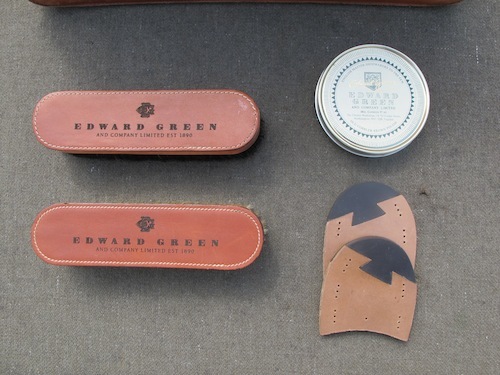 For those of us looking to fork over a little more cash for a quality shoe kit, you’d be hard pressed to find something better than this set by Edward Green. 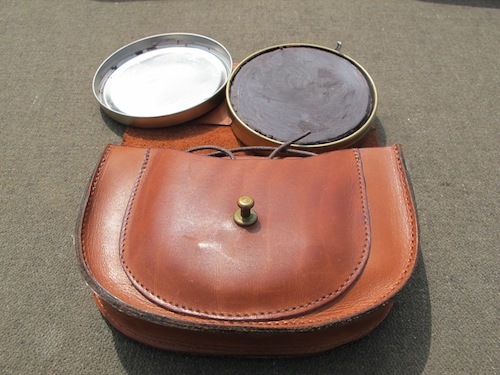 The one pictured is about a decade-old, and as you can tell it still holds its shape and original luster. 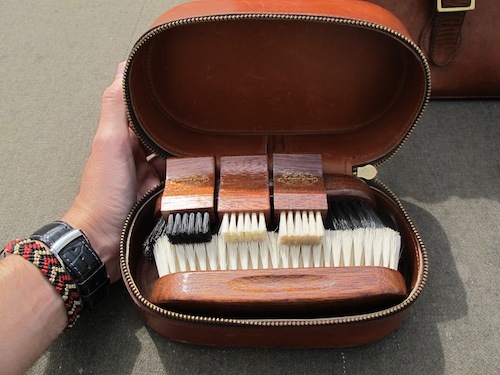 It holds a number of different brushes and waxes, as well as replacement laces and heel taps should the need arise. 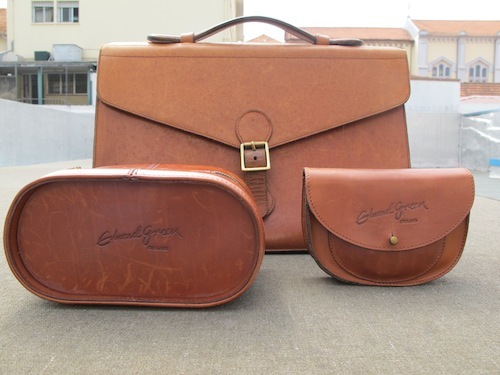 This entry was posted in Accessories, Footwear and tagged Edward Green, Shoe Care Kit. Bookmark the permalink.